Doctor: Stay calm and don’t interrupt. Because you’ll be dead within two minutes unless you do exactly what I tell you. 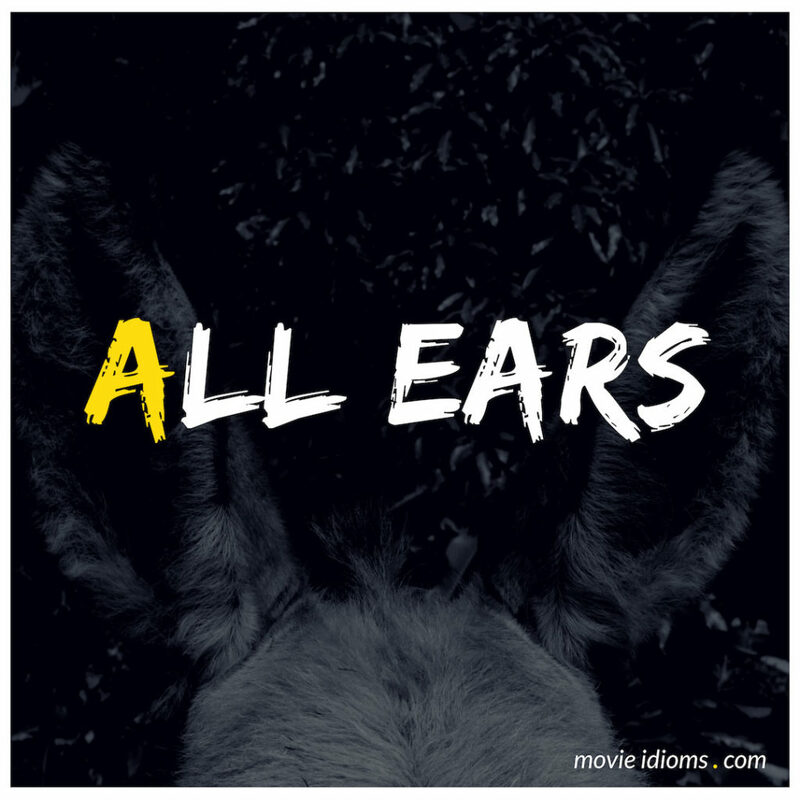 James Bond: I’m all ears. Ray Embrey: Why were you flying? You were flying, Mary. Hancock: Yeah, she was definitely flying. Mary Embrey: Okay, I was flying. And I’m very strong as well. It’s just the way we are. Mary Embrey: Me and him. It’s just us now. All the others paired up and died. Hancock: Oh, you didn’t say anything about the others paired up at the trailer. Ray Embrey: You were at his trailer. Mary Embrey: It’s very hard for me to explain. Ray Embrey: Great. I’m all ears, Mary. Gareth: I’m just saying there should be tests. Tim: We’re all ears Gareth. Gareth: Well I don’t know. When they go down the DSS to make a claim then they should set off a fire alarm fake fire alarm, everybody legs it out the office leaving them there. If they’re fake they’ll be up and running with them. If they’re real they’ll be left there screaming for help.